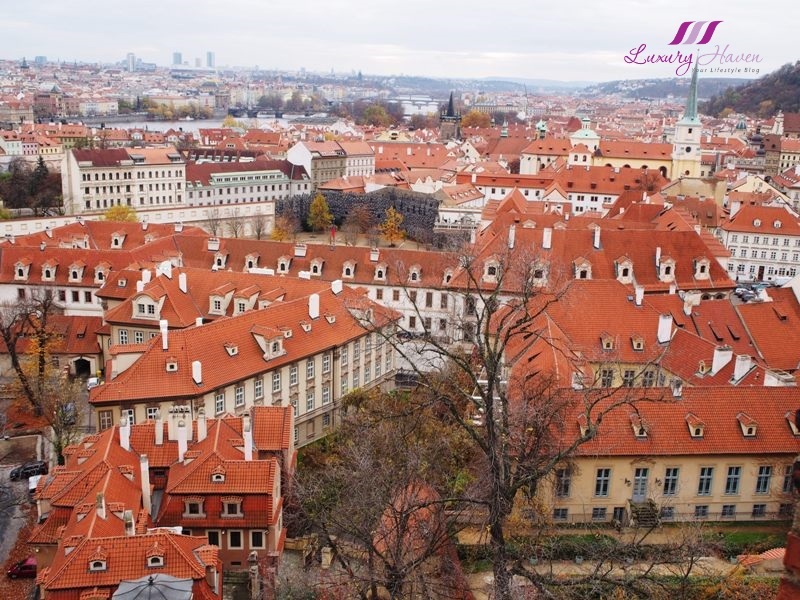 You are here:Home » Travel » Czech Republic Wanderlust: Things To Do In Charming Prague! Built at the end of the 15th century as part of the Prague Castle northern fortification is the Powder Tower aka Mihulka. Today it houses a permanent exhibition about the Castle Guard. Say "Hi!" to my travel pal, Jeannie! 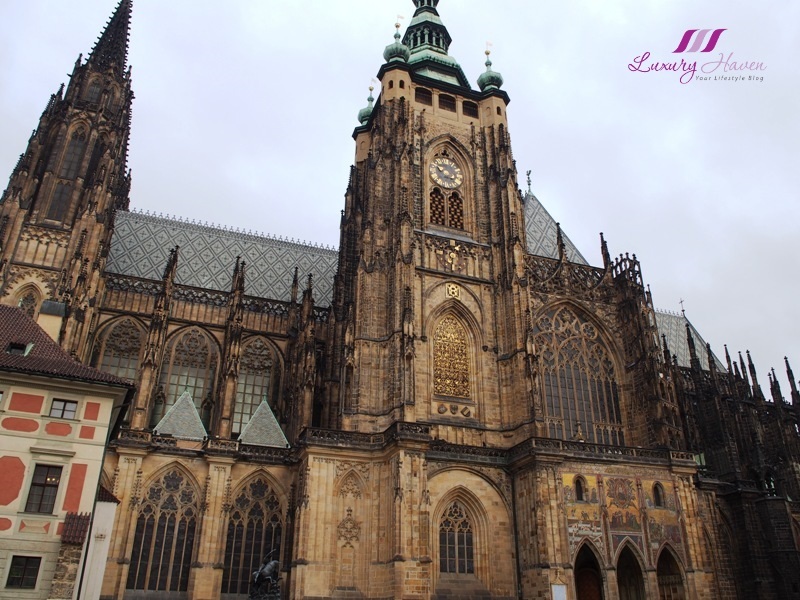 Prague Castle, the largest ancient castle in the world according to the Guinness Book of Records, is the official residence of the President of the Czech Republic. A UNESCO World Heritage site, the construction took nearly 600 years and was finally completed in 1929! The magnificent entrance gate is a part of Rococo railing which comes from the period of Empress Maria Theresa. Visitors can see a partly gold-coated wrought arch with a royal crown at the top. Sides of the gate are formed by bulky square columns bearing sculptures of fighting giants from 1768. Guarding the main gateway of the Prague Castle are two Castle Guards in their dark blue winter uniforms, are directly subordinate to the Military Office of the President of the Republic. 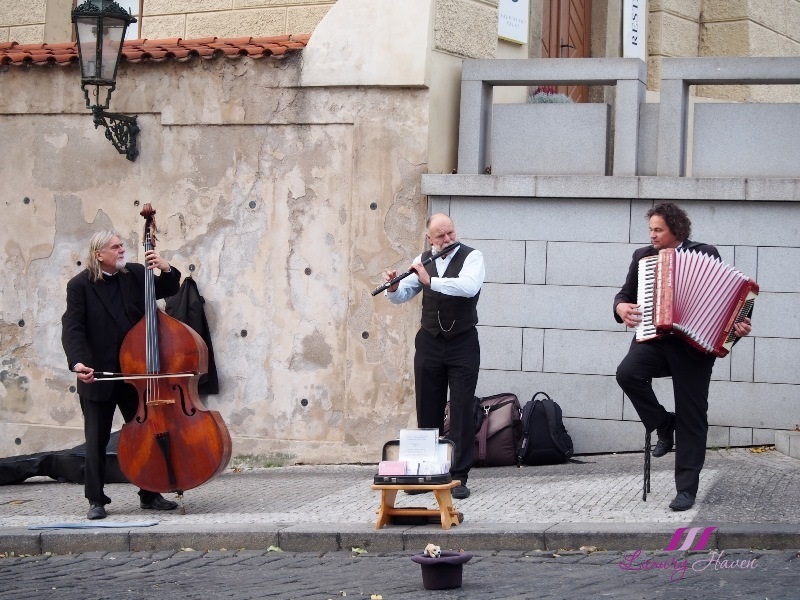 Just right in front of Castle guards, there are musicians performing their own modified Bohemian and Moravian folklore songs and selection of Czech and World classic music. Interesting, isn't it? 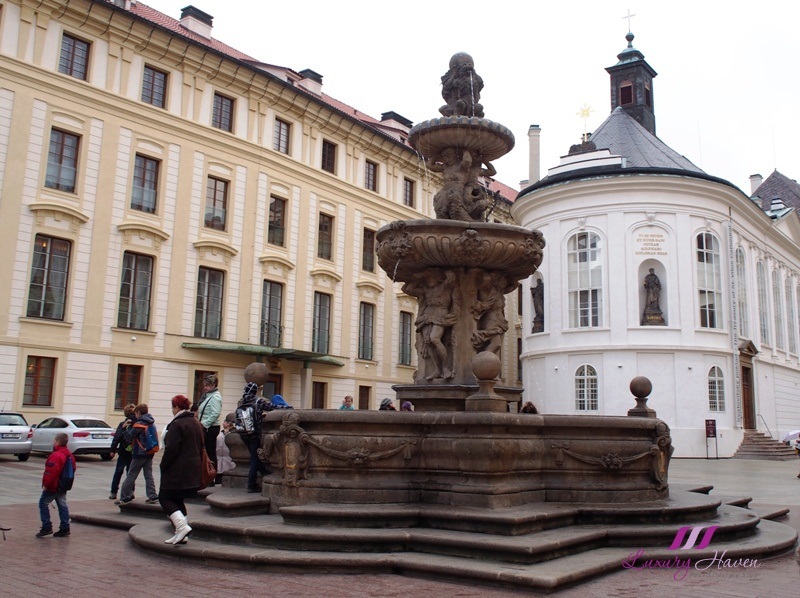 Somewhere in the Second Castle Courtyard stood a large, richly decorated Baroque fountain known as the Kohl´s Fountain or Lion's Fountain. The sandstone fountain was one of the largest castle water reservoirs and is supplied with water from an ancient water pipe. 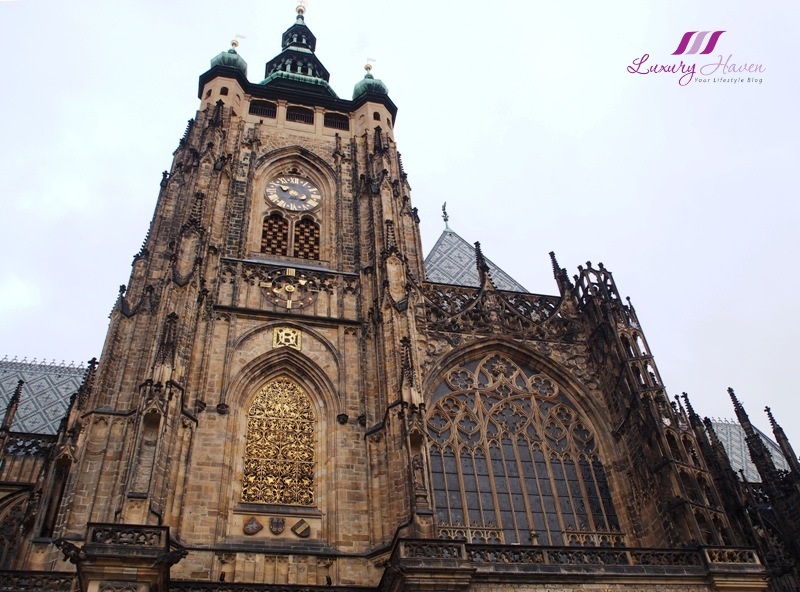 The Prague Castle is actually a complex of buildings with have several courtyards and squares and it is quite complicated to navigate there. It is almost a small town on its own with a variety of walls, gardens and buildings. 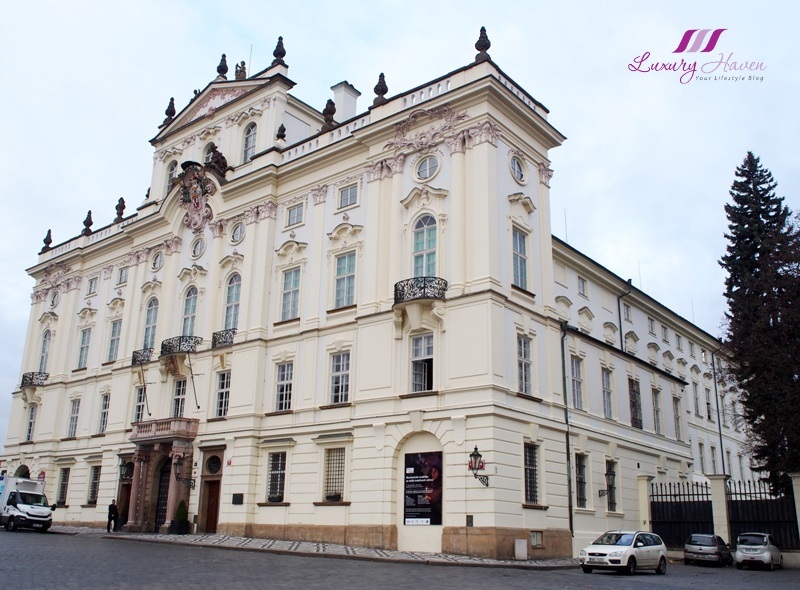 The Sternberg Palace is a Baroque palace built between 1697 and 1707, and currently owned by the National Gallery. The art exhibition contains European Art from the Classical Era to the end of the Baroque Era, with emphasis on the 14th-18th centuries. 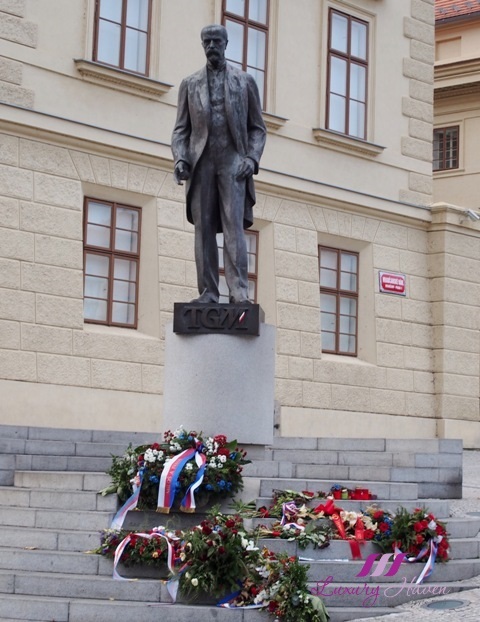 The Hradcanske Square just next to Salmovsky Palace is a worthy front zone of the Prague Castle where a 3m high bronze statue of Tomas Garrigue Masaryk can be spotted, founder and first President of Czechoslovakia. 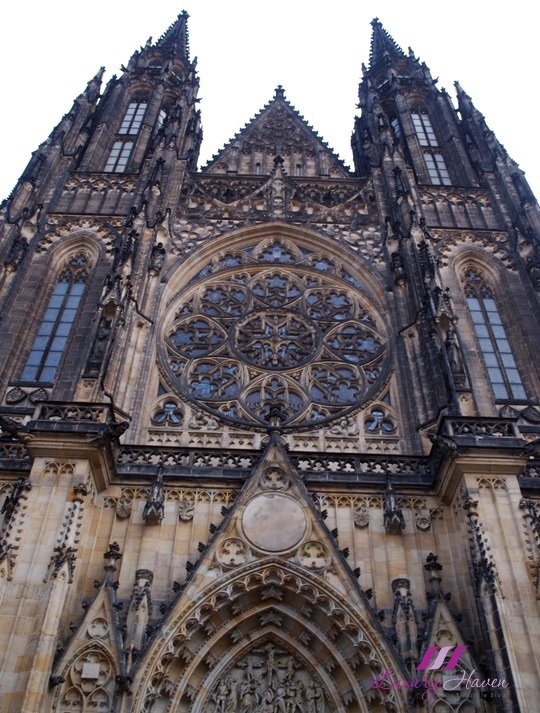 I guess the most famous dominant feature of Prague Castle is the St Vitus Cathedral. 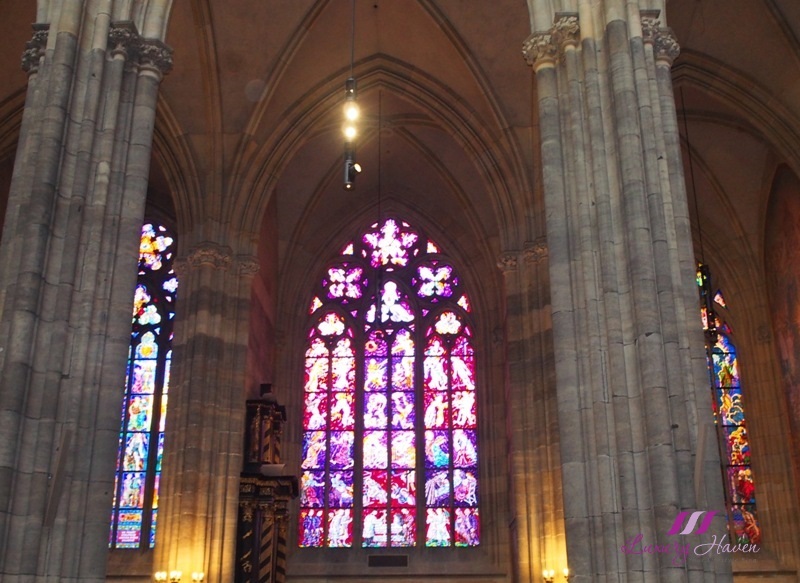 A Roman Catholic metropolitan cathedral in Prague, visitors to St Vitus Cathedral will be amazed by the magnificently decorated interior created by medieval masters where sunlight streams through the beautiful stained-glass windows. 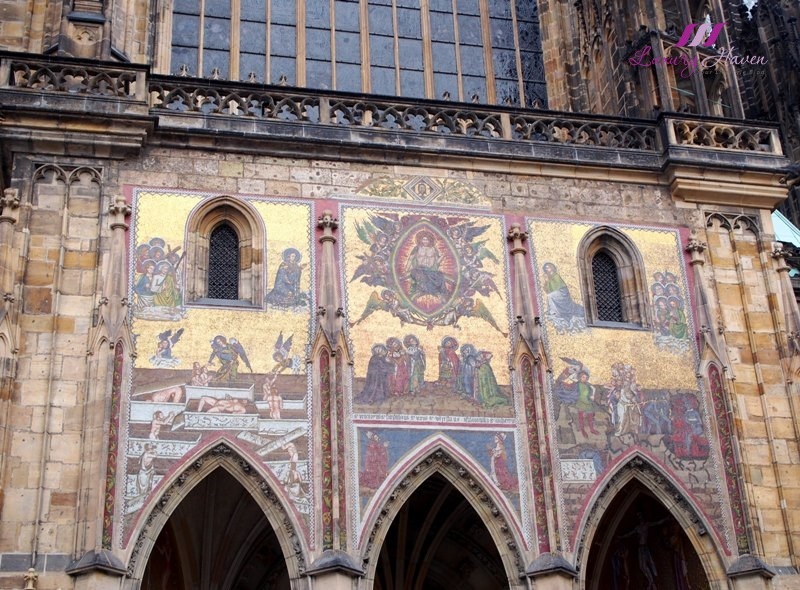 Located on the south facade of St Vitus Cathedral, The Last Judgment is considered the most important exterior monumental medieval mosaic north of the Alps. It is made of about one million glass grits with more than 30 colour shades. 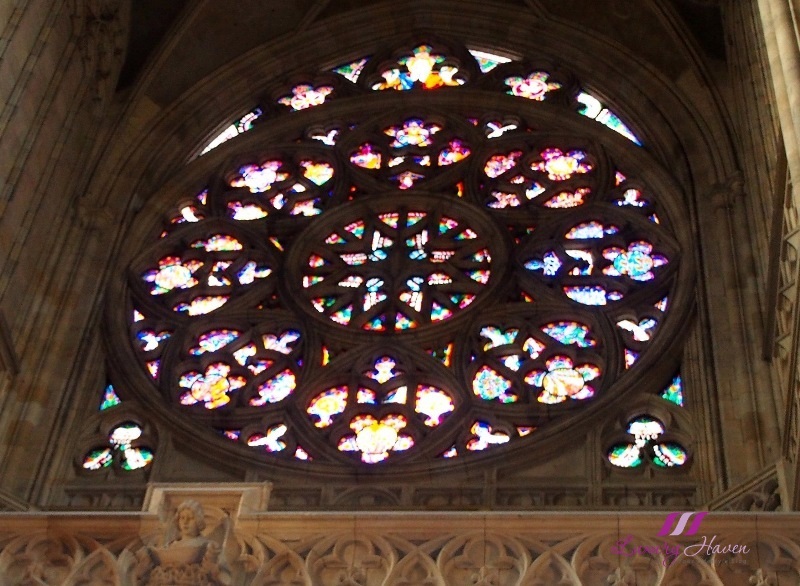 It depicts Christ in the centre, surrounded by angels; kneeling beneath them are the figures of six saints of the Czech lands. On the triptych's two side panels are images of heaven and hell. 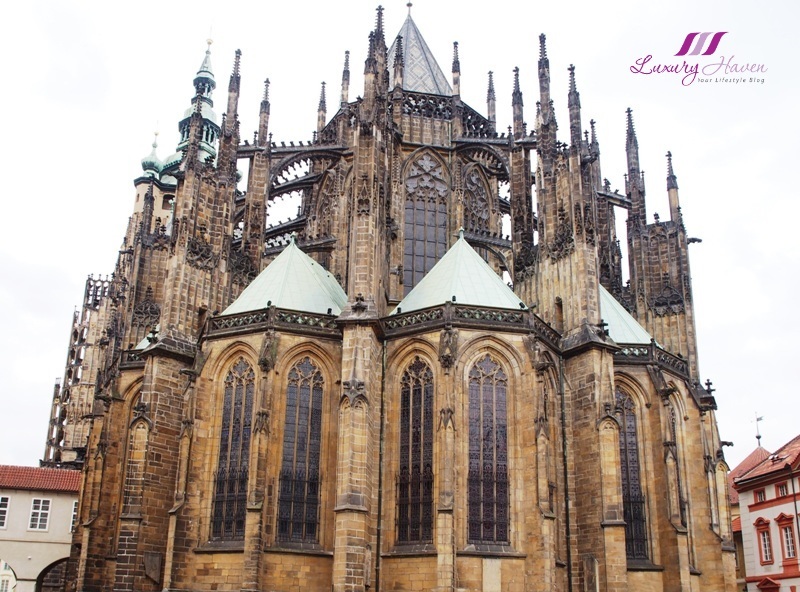 Exhibiting almost every architectural style of the last millennium, the Prague Castle includes Gothic St Vitus Cathedral, Romanesque Basilica of St. George, a monastery and several palaces, gardens and defense towers. 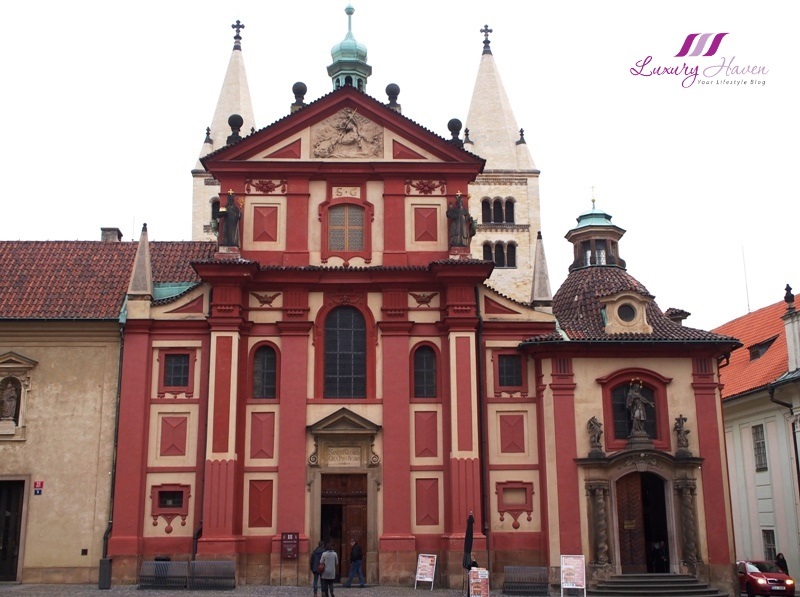 St. George's Basilica is the best preserved Romanesque church and oldest surviving church building within Prague Castle. The stunning building now houses the 19th century Bohemian Art Collection of National Gallery in Prague, and also serves as a concert hall. 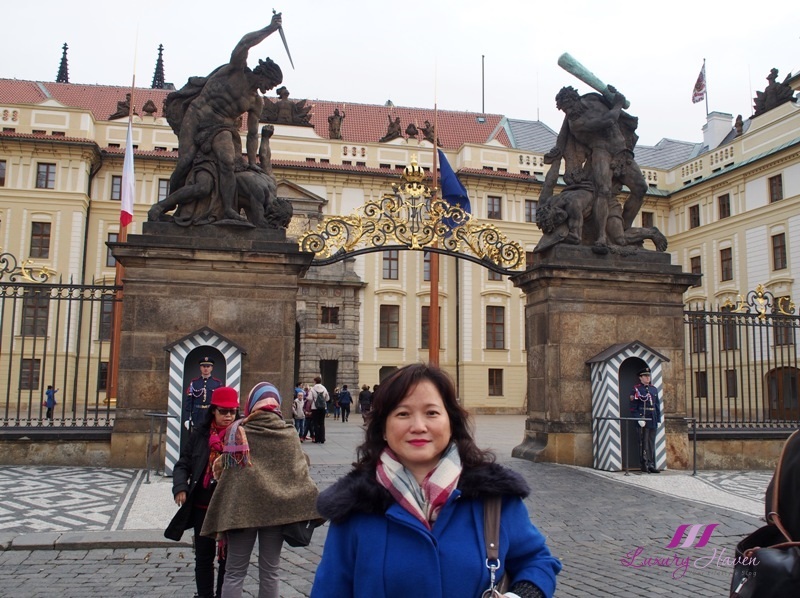 I will be back with more of Prague, exploring tourist attractions such as the Charles Bridge. Have you been to Prague? What's your experience like? Did you miss our post on Budapest UNESCO World Heritage Site, Scenic Eastern Europe? Don't forget to Subscribe to Luxury Haven by Email and you will never miss a post again! It's the site of such beautiful architecture! Breathtaking photos. All those sight-seeing. So much to see in Prague. No, I have never been to Prague. 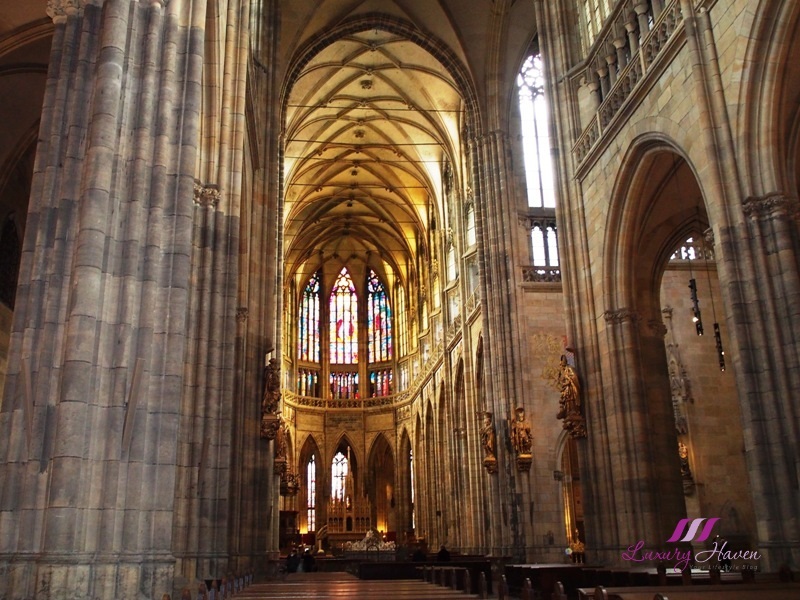 Thaanks for the many photos of St Vitus Cathedral - so magnificent! The joy and pleasure of travelling I sure see in this sharing. Indeed, spellbinding. Amazing shots and places! Great tips!! So beautiful photos. The Cathedral is really amazing. Looking forward your next post on Prague. My wife is saying if we go to Europe one day, she is afraid one camera is not enough for me to take all the beautiful scenes :-D Thanks for sharing another great blog!!! I've always wanted to go to Prague---thanks for sharing your adventure with us! One of my favorite cities! Nice to see your doing some world travel! omg so beautiful! post more photo on insta! Hi im anna! This is gonna be out of topic. But may I know if jyunka skincare suits my skin and what are the products that I should use? Im 24 with a little dry and sensitive skin. I read your reviews on jyunka products that are 5 years ago and really interested to try it. Tq in advance. Hello Anna, glad my Jyunka post caught your attention as they carry a series of amazing products. I've already forwarded your query to Jyunka as they're the best person to advise you. Please wait for their reply. Hi Anna, Jyunka has replied that they're not able to give any advice base on your brief description. It's best for you to visit one of their salons for face to face consultation with their therapist. Jyunka has a pop up store from now till 5 July at Wisma Atria Isetan Level 2 from 11am - 9pm. Their trainer will be there this Friday, 20 May, 3-7pm. Let us know if you're going down so that they can let Nora, their trainer to advise you. Hope this helps. Love Prague! So beautiful pictures! I have heard that it is very beautiful over there, though there are not many places to visit. However, I still wanna go there hehe. Nice city! You travel a lot Shirley! Love the view. I have so very close to Prague, and I never been there. Do you believe? But I have to go there, because Prague is really beautiful.